이 문서는 고려 고종 3년(1216)에 조계산 송광사 제2세 진각국사 혜심에게 대선사의 호를 내릴 것을 제가(制可)한 것이다. 이것은 능형화문의 무늬가 있는 홍, 황, 백색 등의 비단 7장을 이어서 만든 두루마리에 묵서한 것으로, 크기는 가로 3.6m, 세로 33㎝이다. 이것은 고려시대 승려에게 하사한 제서 중 몇 점 되지 않는 귀중한 자료이다. 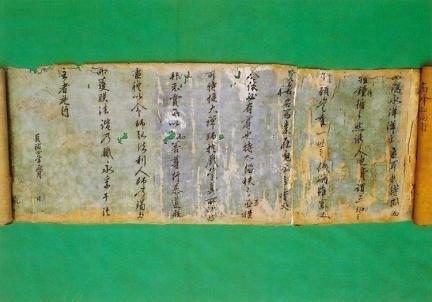 This is a royal edict proclaiming the bestowal of the title of great master upon Hyesim, otherwise known as second State Preceptor Jingak of Jogyesan Buddhism, a major branch of Buddhism in Korea, in 1216 (the 3rd year of the reign of King Gojong of the Goryeo Dynasty). The edict is written in ink on a scroll made of seven sheets of red, yellow, and white silk emblazoned with diamond-shaped flower patterns. 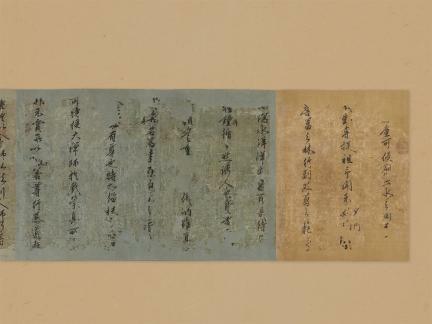 The scroll measures 3.6 cm in width and 33 cm in length. 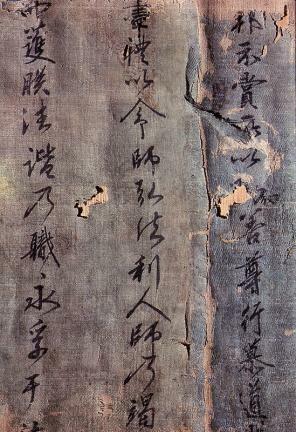 It is one of the few surviving royal edicts bestowed upon a monk in the Goryeo Period.